The 2 layer design of the AcoustaGrip Concert Master is a key feature. One layer is made from special acoustical materials, delivering enhanced sound and ultimate comfort. The other layer is unique as it attaches simply with air to the back of your instrument using micro-air technology. The Concert Master's ergonomic design sets the violins position at the most favoured angle for sound projection and ease of performance. No more sores, marks or shoulder pain! 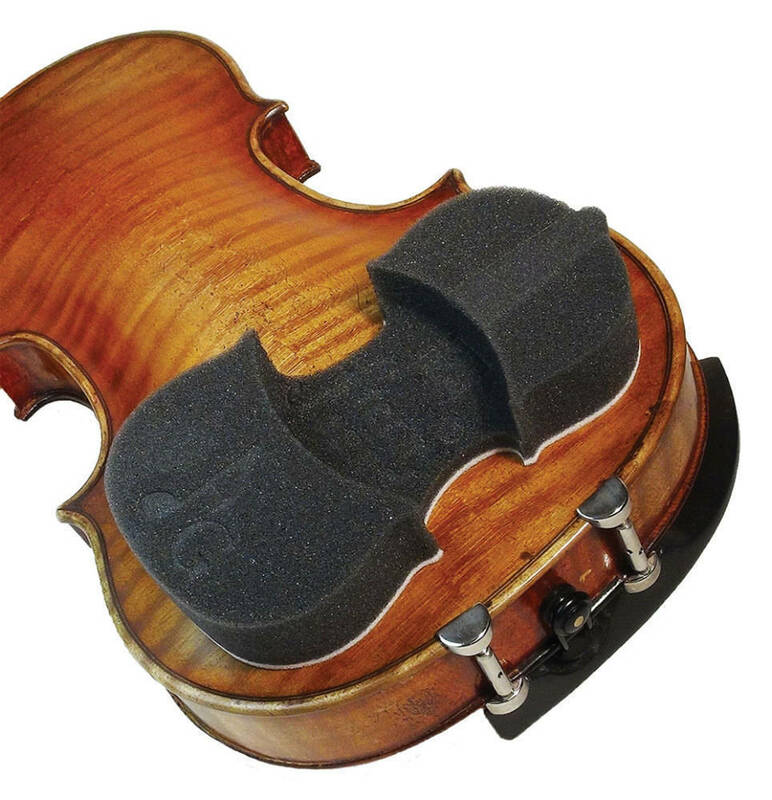 The Concert Master attaches with no glues or clamps and helps to preserve and protect the quality and condition of the violin or viola. The 1697 'Napoleon' Stradivarius and the 1778 'DeLay' Guadagnini enjoyed AcoustaGrip for many years. Both instruments were acclaimed for their condition and set world record sales prices.